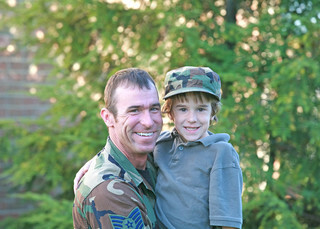 At the My Home Base page on MyMilitarySavings.com, you can enjoy localized information and deals for your local military community in one convenient location. Since 2011, we have worked hard to gather the best discounts we could find together into one site so that military shoppers wouldn’t have to take time out of their busy days to scour the internet for savings. All you need to do is sign up a free membership to find up-to-the-minute offers that you can use to save on everything you need from the commissary and exchange stores and more. Also, to help keep you in the know on the latest specials at your local commissary before you ever leave home, we’ll give you access to the latest Coupon Connexion and Price Connexion flyers through our weekly newsletter. We also offer access to our monthly My Home Base ad circulars, where you can see up-to-date local deals and add items to the “My Shopping List” tool, which creates a digital shopping list you can print out or view on your smartphone. For more information and to take advantage of our My Home Base page, sign up today for your free membership at MyMilitarySavings.com.